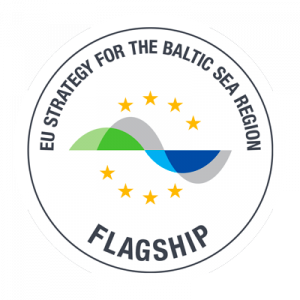 What has been achieved with EUR 300 million of Interreg Baltic Sea Region funding to make the region more innovative, better accessible and more sustainable? This question will be addressed at the Interreg Baltic Sea Region Programme Conference organised in Lübeck, Germany on 9-10 April 2019. As one of the projects funded and powered by the Programme, ECOPRODIGI is taking part in the conference and the discussion, spreading the word about the great things on which the project is currently working. As a partner of Clean Shipping Project Platform (CSHIPP), ECOPRODIGI is represented in a clean shipping -themed panel discussion which takes place on Tuesday, 9 April at 15.30-17.00. The session focuses on the relationship between clean shipping and business by discussing both the opportunities and challenges faced by environmentally friendly shipping and the ways in which the work done in EU funded projects can be utilised by those working in the industry. ECOPRODIGI project partners Niels Gorm Malý Rytter (Associate Professor, Aalborg University) and Maarit Lappalainen (Program Manager, Carinafour) are among the panellists sheding light on the work done for clean shipping in EU funded projects and discussing whether clean shipping can be a viable business case. On Wednesday, 10 April at 9.00-10.00 project manager Milla Harju is in the hot seat at the digitalisation session where she will be pitching ECOPRODIGI to a panel of experts. For more information about the sessions, please check both the conference and CSHIPP websites. We look forward to meeting you in Lübeck!